Driveby Andy: Do you live in your van? 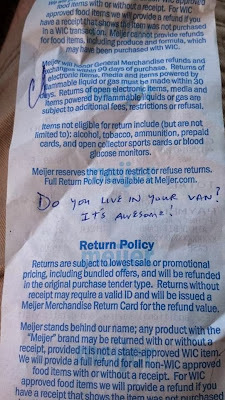 Do you live in your van? I went to the store this evening to buy a small desk for the motorhome. I had found it on Target's web site and thought I had to order it online but then I found it at Meijer, the Midwestern version of Walmart. 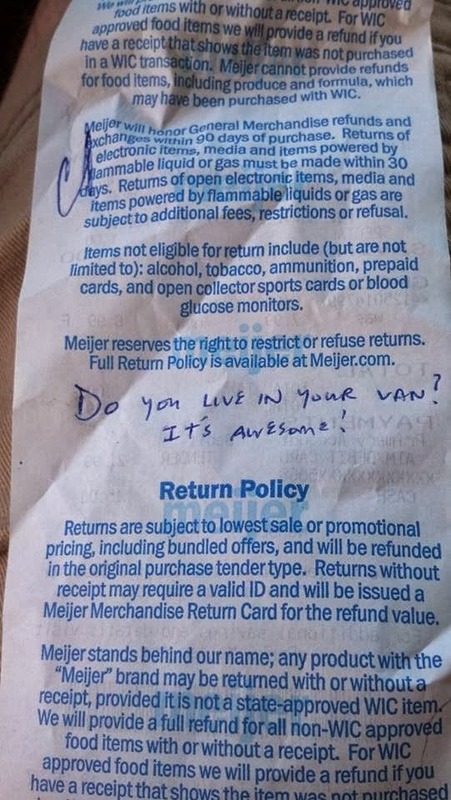 I was in there for only a short amount of time and when I came back to the van I found this note on the windshield. It made my day, even though I've mostly abandoned the van plans in favor of the motorhome. I've still got the solar panels on the van so it sticks out a bit if you're in that frame of mind. The only problem being that it looks like a dude's handwriting. Harhar.